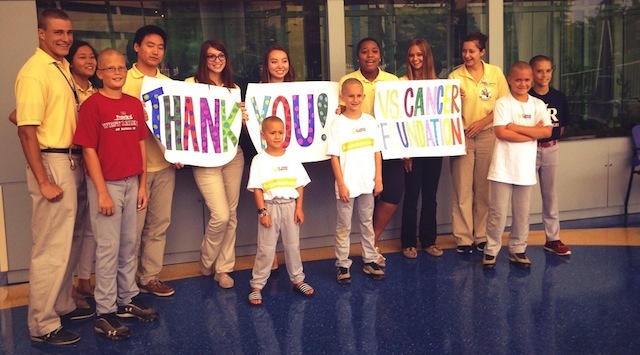 Vs. Cancer has one goal: To Cure Childhood Cancer. Since being founded in December of 2012, Vs. Cancer has had tremendous success in empowering athletes and their communities to support their cause. In the month of April alone, Vs. Cancer raised over $240,000, which will be split between funding local children’s hospitals and international research. With such a surge in donations, we had to know what Vs. Cancer was up to, so we called up founder Chase Jones to get the scoop. Vs. Cancer is an organization with a heavily event-based model that revolves largely around baseball teams, starting in the spring season. 75 percent of Vs. Cancer’s events take place between the last two weeks of March and the first week of May. Although their recent spike in donations can partially be attributed to timing, Chase shared some great insight into the steps that were taken to ensure this year’s events were grand slams. From day one peer-to-peer fundraising has allowed Vs. Cancer to put their mission in the hands of their supporters. Teams of student athletes create their own fundraising pages, which they share with friends and families in their communities. To simplify this process, Chase and his team were proactive and took it upon themselves to pre-create the team fundraising pages for each particpant. The template that Chase created was a one page PDF with instructions and a screen shot of the page Vs. Cancer had created for the team. Vs. Cancer had personalized the links for every team they worked with, so all the athletes had to do was click and type in their name to create the fundraising page. “We realize that everyone is busy, but if you know someone really wants to do something, you have to eliminate any possible barrier to increase participation,” Chase said. Donations are always appreciated, and Vs. Cancer has made it a point to articulate the impact of each dollar. Chase personally tries to attend as many baseball events as possible and meet with all the athletes. “I’ve been running around like a crazy man this year trying to visit with as many teams as I can to instill the impact of what they’re doing,” Chase says. What about the teams that Chase can’t visit? Well, he’s got it covered. Chase elaborated saying that he tries to hammer down the minor details of exactly where the funds Vs. Cancer raises are going. He has found that in this generation, making a quick 2-minute personalized YouTube video for each team is more conducive than a one-page, written thank you. Chase recently had a conversation with someone who used to work with a national organization but now works with Vs. Cancer. He mentioned that, at least in the South, there has been a movement to focus on the local; people tend to identify with shared attributes within their community. Vs. Cancer had one team of athletes that really rallied in a unique way. 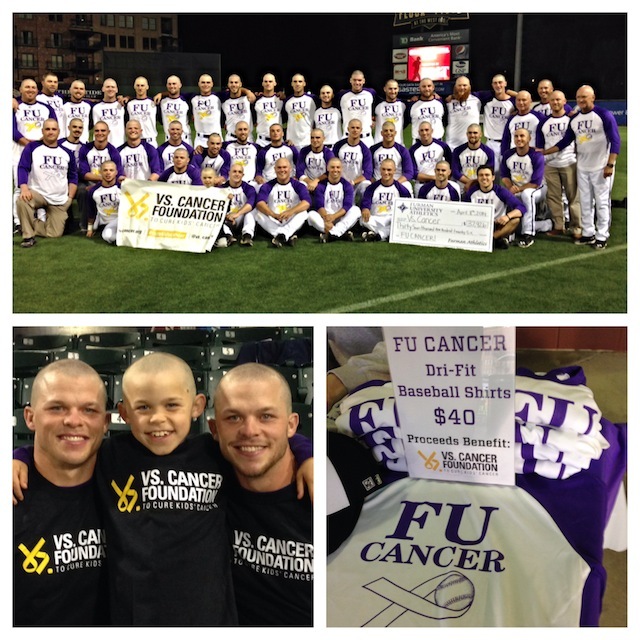 Furman University raised around $40,000 for Vs. Cancer and Chase described the team as the most proactive and competitive group of baseball players that he has ever worked with, on and off the field. For example, to encourage their campaign’s growths, they made some interesting T-Shirts. One player had the idea to make and sell shirts saying “F U Cancer.” The shirts also coincided with the Furman University acronym, which added to their appeal. Chase was able to attend the game where all the Furman players shaved their heads in solidarity with cancer patients, and said that the shirts were selling for $40 dollars a piece. Vs. Cancer’s fundraising success is a testament to the power of teamwork and it is always inspiring to see a team of athletes rally around a cause. Click here to check out a Vs. Cancer Team Fundraising page to see first hand how baseball players are fighting to end childhood cancer.